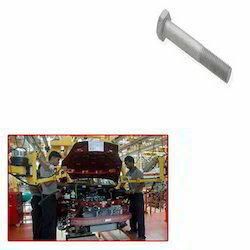 Prominent & Leading Manufacturer from Nagpur, we offer m.s bolts for automobile industry. We are engaged in providing the best quality range of M.S Bolts for Automobile Industry. The vendors associated with us design and manufacture the offered bolts by making use of the finest quality mild steel and high-end technology at par with market quality standards. These bolts are made available in different dimensions as per the specific requirements of our esteemed patrons. Highly demanded in automobile industry, we provide these bolts at the most affordable prices to the clients.